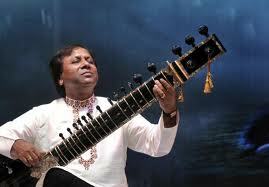 Shahid Parvez is one of contemporary India’s stars of the sitar. With a pedigree that includes Ustad Vilayat Khan, Ustad Hafeez Khan and Ustad Enayat Khan, his playing is creative and imaginative. 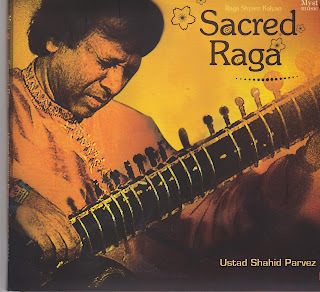 Like his famous forbear Ustad Vilayat Khan, Shahid sahib prides himself on his purist approach to classical music and the sitar. He has little time for east - west fusion or purely experimental outings, though admits they have their place. 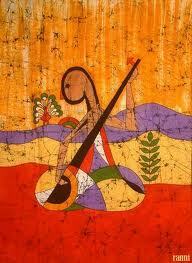 Rather, in the old school way, he practices constantly and tries to reveal the true essence of each raga. I’ve included an interesting interview in which the master opens his heart about the music, and his relationship with his father. Take the time to read it, it is worth it. You started learning vocal music and tabla at a tender age of 3 before switching to sitar at 4 and were touted as a child prodigy by 8. Did you even have a childhood? I had to do only two things — play sitar and study. I never ever played outside, never had a normal childhood. I would practice from 10 at night till 4 a.m. in the morning, then slept and then would wake up and go to school. But you really cannot achieve much without that kind of hard work. It is not enough to just take lessons and practice. The involvement should be so deep that your music and you become one. Often my mind is full of music even when I am asleep. People draw the best from experiences of pain and difficulty; without experiencing the pain you cannot achieve greatness. My training was tough and my father was very strict, demanding and very impatient. He was an artist and not a teacher. He’d say I don’t care if you don’t have talent. I want you to play like this and I will make you play like this. At times my mother would bring food and she would leave and the food remained and he’d forget and would be so involved in teaching me that after a while, though I was just a child, even I would forget that I was hungry. There are times I have practiced 10-11 hours at a stretch. I decided to teach a lot of students and learn patience, and an understanding that not every one is at the same level. Till today my father has never told me what he thinks of my playing or that he is proud of me. One day I asked him you have worked so hard on me and I have worked so hard on myself and even if after so many years, I have not been able to please you enough for you to say even once, “son you played well,” so what do you get out of it? He said once a father and son made idols. What the father created sold for 100 bucks what the son made sold for 200. The father for a long time never ever told the son, that he created a better idol than his father. One day finally the father could not control his pride and said “Son you make idols far better than I do.” Since then not one person even paid 50 rupees for his son’s work. He probably felt it would go to my head and I feel that fame and flattery have to be taken in stride. If an artist can stay humble and focus only on his art, he rises way beyond his talent and his craft. And if it goes to his head, he is a very small man. Whatever I have learnt is so miniscule compared to what I still feel I have to learn that I see nothing to be arrogant about. You are one of the few artists who sing and play both, and have incorporated the “gayaki ang” and the “tantrakari ang” creating a unique style and universal appeal. I think to play an instrument from your soul, you have to learn to sing first, because music is expressed to the maximum through singing. I started with vocal music when I was three and till today I sing in my performances. I feel until you sing it will not transfer to your playing. More than even the technique and other things, you need to sing. You play an instrument with your hands but the sounds really emanate from your heart. In today’s world of short attention span, what future do you foresee for traditional classical music. You are perhaps a rare artist who can play and still hold people spellbound after hours as a purist, and a lot of the audience is not very knowledgeable technically. Yes, I’m a purist and I don’t believe in taking short cuts in music. Our music is not just for entertainment purposes only. If the stories are true about how Mian Tansen sang and animals came to hear it’s obvious that great music is a pleasure you enjoy even when you don’t understand it. I have such faith in my music that I am confident it doesn’t need short cuts. Zakir Hussain and Ravi Shankar are so good at what they do that anything they create or play is appreciated and yet deep within my heart I feel that perhaps even they enjoy themselves the most when they play the traditional music they were brought up with. Of course it’s another matter that occasionally we digress or innovate and at times just experiment to see how it feels to blend two styles together. I want to remain a purist even though I don’t mind innovating or experimenting by working with other artists. In the early days the audience was a very trained, they were the true connoisseurs and you did not have to explain your music to them, as they knew the technicalities. The number was not very large, but they were the real music lovers. It was tough playing before them because you could not afford to make a mistake. On the other hand it is as tough playing before an audience that knows nothing about Indian classical music. Today there is a mixed audience. The ones who know, the ones who do not know, so it’s hard to please everyone. Fortunately with instrumental classical music, things are a bit easier, where it can touch the heart, even if you don’t know the technicalities. But I’m very encouraged by what I see here. There is great interest and people are learning a classical art form with great enthusiasm and dedication. I have also noticed that between India and here, a regular guy here has a deeper appreciation and understanding of Indian classical music. Here people miss what they have left behind so the appreciation is deeper. What do you prefer — playing live or recording spectacular music in the solitude of a recording studio? Live concerts inspire an artist to raise the quality of music simply because of audience response. However the quality of recording is better in a studio. Of course if you want to record peacefully then studios are the havens. I try to make it natural by trying to record at the time of the raga and invite some close friends and music lovers to be a part of it. I still feel some of the live concerts turn out to be so amazing and that even if the recording quality is poor they should still be captured on CD. Have you ever created a spontaneous raga? 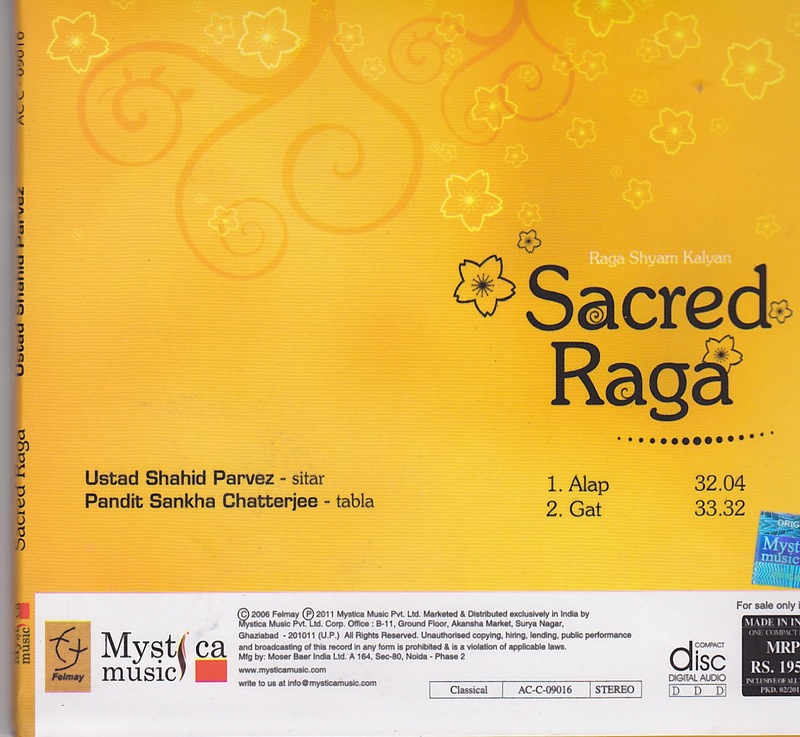 I don’t believe in creating ragas. 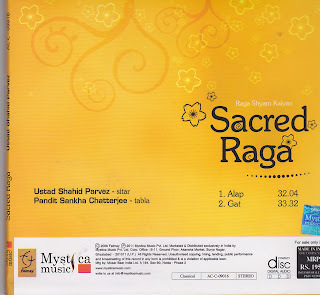 There are so many good ragas now that it is now impossible to create ragas as per our traditional way of creating them, but once I was to play at a concert at 2.30 a.m. it was neither night time nor dawn and I was wondering what do I play. There is no raga, which has been created for the time between the night ushering in the dawn. But there is a night raga Kaushikdhani and a morning raga lalit. I spontaneously blended the two. What have been your most memorable concerts? And is there something about Ustad Shahid Parvez that no one knows? It was an honor to perform before my uncle Ustad Vilayat Khan. I played on his 60th birthday. And then once Ravi Shankar came to hear me perform and he heard me with love, and at the age of 11 before Bade Ghulam Ali Khan who gave me Rs. 5 as prize. I have never told anyone this before, but I have a son who is 16 and a sitar player, but I decided I will never promote him. He must take all the time to learn, to create his own path and carve a niche for himself by his own talent and hard work. He is not going to get anything on a platter. I have never even mentioned him prior to today or even encouraged him to perform with me on stage. If he even understands a fraction of the hard work involved , the tough discipline true musicians need to follow, he will make me proud.